Peace is an ideal, war is real. In Game of Thrones, the sword speaks loudest and dictates the fate of the Seven Kingdoms. While politics play an important role, the soldiers and warriors will determine who sits on the Iron Throne. When they aren't fighting White Walkers, they fight with each other, from house to house, and kingdom to kingdom. Despite the competition and the rivalries between families, greatness can never be ignored. Master swordsmen earn their reputations and defend them until their death. With Season 6 of Game of Thrones heating up and many battles headed our way, let's take a look at the most powerful fighters in Westeros and see who comes out on top. Ned Stark, we barely knew thee. While a man of unimpeachable honor, we witnessed very few flashes of swordplay before his life was cut short. Our largest glimpse into Ned’s combat skills was his duel with Jaime Lannister, who was spared Stark’s wrath thanks to an interfering guard. Had Ned not taken a spear through the thigh, he may very well have battled the Kingslayer to the point of no return. While history may reflect more favorably on Jaime’s swordplay skills, we do know that young Ned barely escaped from a duel with Ser Arthur Dayne. Competent, but far from the best in Westeros, may we remember Ned Stark in the best of ways, as in this shamelessly modern take on the battle outside the Tower of Joy. Learning swordplay from Syrio Forel would be like studying opera with Pavarotti. Hired by Ned Stark to teach Arya the ways of the warrior, Syrio prepares the youngest Stark daughter for a life of battle. His “water dancing” style is inimitable, as artistic as it is lethal. Indeed, when the Kingsguard come for Arya, he defends himself against a panoply soldiers with nothing but a wooden blade. While it seems Arya was his final student, Syrio Forel may still be among the living. Ser Meryn Trant, with his longsword and Kingsguard armor, may have had the dancing swordsman on his heels, but there is still no concrete evidence that Syrio is gone. After all, “what do we say to the god of death?” Not today. This wilding raider fights with reckless abandon. Bred in the harsh conditions of the north, Tormund Giantsbane served as one of Mance Rayder’s top generals. He fights with no defined style, just the rage of an irrepressibly crude and violent man. Had Ser Allister Thorne not fallen from his perch at the battle over the Wall, Tormund would have eviscerated him beyond repair. As for the Wall, Tormund doesn’t just climb it, he leads the pack without any trace of fear. More beast than man, Tormund Giantsbane will be a useful asset in the wars to come, continuing to fight the White Walkers alongside Jon Snow. If his actions at Hardhome were any indication, he will not spare the whip in the battles south of the Wall. While he may not have become what Melisandre prophesied, Stannis Baratheon gave the last full measure of dedication behind enemy lines. At the Battle of the Blackwater, Stannis was the first to scale the castle walls, bravely leading his men onto heavily fortified and enemy ground. While his army is unexpectedly routed by Tywin Lannister, Stannis continues to slay the opposition until his own sentries literally pull him away from the combat while he screams, “Stand and fight!” Though in A Song of Ice and Fire, George R. R. Martin depicts Stannis as more of a strategist than a swordsman, he is the ultimate leader of men in Game of Thrones. When he is finally cut down by Brienne of Tarth, Stannis still manages to hold his own in a two-on-one showdown that marks the end of his life and bid for the Iron Throne. In one of the most spectacular character entrances in Game of Thrones, Bronn declares himself a warrior with an equally wicked sense of humor. After defeating Ser Vardis Egan and throwing him through the moon door at House Tully, we learn that Bronn is not bound by the usual tropes of knighthood. He is highly skilled and ruthless, a sellsword who pledges fealty only to gold and the highest bidder. Indeed, his talent frees Tyrion Lannister’s trial by combat and the shackles of Lysa Arryn. Little is known about Bronn, other than claims of an abusive childhood and employment experienced beyond The Wall (which may prove useful down the line). His combat skills are so refined, however, that Tyrion directs him to teach his brother Jaime how to fight with his left hand. When the wandering duo arrive in Dorne, Bronn shows the Kingslayer the extent of his talent during their early morning fight. 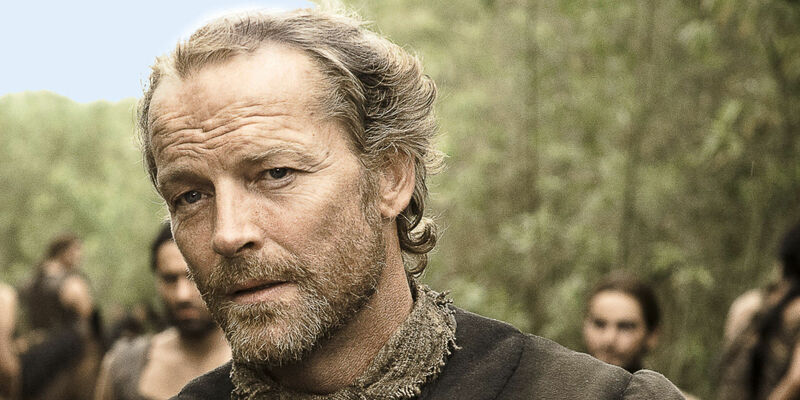 A man’s style of fighting reveals his heart, and with Ser Jorah Mormont, we see all of it. Scarred by past indiscretions as a slaver of poachers, and having lost his wife to wealthier men, Jorah carries a heavy burden into the battlefield. A consummate gentleman, he does not taunt, nor use any mechanism other than his sword to achieve victory. In one of his defining and earliest moments of heroism in Game of Thrones, Jorah cuts down the enraged Dorthraki bloodrider, Qotho. When the monosyllabic mongol hooks his sword into Jorah’s armor, Mormont swiftly slices Qotho across the face and defends the honor of the Khaleesi. Later, after he loses Daenerys’ confidence, Jorah fights to regain it through blood trials in the Great Pit of Daznak. Jorah’s gladiatorial skills do not disappoint. While far from the best fighter in Westeros, Jon Snow may certainly be one of the best swordsmen to join the Night’s Watch. With the Valyrian-steel sword, Longclaw, at his disposal, Snow has dispatched wildlings and White Walkers alike, fighting with greater effect than both his brother, Robb, and his deceased father. At the battle of the Wall, Jon shows great bravery and impatience at quelling the wildling invasion, jumping from the iron cage at Castle Black to join the melee. Since his introductory scenes in Game of Thrones, Jon has been training to fight, fighting in training, and then fighting some more. His existence revolves around the sword, and while his the extent of his skills recently culminated in the shattering destruction of a White Walker, his dexterity will be all the more crucial in the days to come. His bite is certainly worse than his bark. Sandor “The Hound” Clegane has earned every bit of his reputation as a lethal, fearless weapon. His fighting is matched only by his loyalty, though when he finally abandons his post as King Joffrey’s guard, he becomes more unhinged than ever. In the arena, the Hound is not to be threatened, for he holds more regard for killing and death than he ever has for life. As he wanders through Westeros with Arya Stark, his aptitude for killing becomes even more pronounced. Death is the most valuable currency he’s ever known. After killing Beric Dondarrion (if only for a moment), the Hound’s road eventually intersects with Brienne of Tarth. Malnourished and exhausted, his enfeebled body succumbs to the relentless attacks of Sansa’s sworn protector. With rumors of a Cleganebowl on the horizon, however, we can only hope The Hound will return to the fray. When the curtain first rises on Game of Thrones, Jaime Lannister stands in the spotlight. Having deposed the mad King Aerys (told in one of the series' best monologues), Jaime welcomes a secondary identity in addition to his Lannister name: the Kingslayer. Much to his dismay, this violent and incendiary title follows him throughout Westeros. By murdering Aerys, Jaime unquestionably did the Seven Kingdoms a great favor, though his reputation as Kingslayer has overshadowed his preternatural gifts with the longsword. Before losing his right hand to the vicious Locke, Jaime possessed practically unrivaled dueling talent. While chained, exhausted, and starving, he almost manages to beat Brienne of Tarth in his weakened state. Though he has since been forced to relearn the swordsman craft with his left hand, it is unlikely Jaime will ever recapture his former glory. A force of nature, Khal Drogo makes the men of Westeros look soft. As the leader of the Dothraki horde, Khal Drogo rules with great intimidation and violence. When he fights, he doesn’t just look to kill, he seeks to dismember his enemy and tarnish their memory. In his (ultimately) fatal fight with the insurrectionist Mago, Drogo not only wins the battle, he guts his foe and removes his tongue. Better yet, he does all of this sans sword and blade, working solely with his hands. It must be said that Khal doesn’t fight out of misguided rage, however. Much of his action is guided by his deep rooted desire to protect the honor of his Khaleesi. He may have a healthy sense of confidence and entitlement, but Khal Drogo has a greater sense of justice than his brash attitude implies. Should he have made it across the Narrow Sea, Khal Drogo would have left quite a mark on the weaker kingdoms of Westeros. The Red Viper of Dorne was defeated not by the Mountain but by his own arrogance. Indeed, Oberyn takes a unique approach to battle, foregoing the sword for an eight-foot long ash spear that gives him greater reach in the arena. 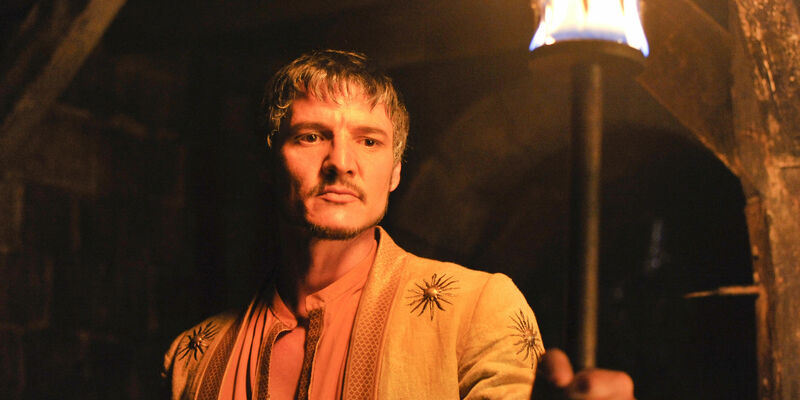 An acrobatic and impossibly agile fighter, Oberyn Martell could have easily dominated the top spot on our list had he not wasted time over the wounded body of Gregor Clegane. He may have also benefited from avoiding too much wine before the fight. Without much armor or any sort of defense, Oberyn attempted to climb The Mountain with swiftness alone, a direct counter to his foe’s enormous, but plodding, size. Like Achilles at Troy, however, his hubris and boundless self-belief left him dead in a moment of weakness. Should anyone doubt Brienne of Tarth’s defensive abilities, they must simply interview The Hound. In what may be remembered as one of the most unrelenting fights in Game of Thrones, Brienne roundly beat Sandor Clegane within an inch of his life. In addition to her staggering height and uncommon muscularity, it is the deep well of honor and justice that drives Brienne to continue fighting. Years of verbal abuse and mockery have left her desperate to achieve glory in battle. Indeed, she has fought against both the Hound and Jaime Lannister, and while both men were less prepared for combat than they would like, Brienne still humbled them in unforgettable fashion. Now armed with Oathbreaker, the Valyrian longsword cast out of Ice, Ned Stark’s former weapon, Brienne heads into the thick of winter with the wind at her back. Known as Barristan the Bold, the former Kingsguard member served under both the mad King Aerys and Robert Baratheon for a combined forty years. His legacy is nearly unrivaled in Westeros, with tales of his heroism filling countless history books. One episode in particular saw him dismantling the villainous Kingswood Brotherhood, fighting alongside Arthur Dayne and a young Jaime Lannister. In the heat of battle, Ser Barristan killed Simon Toyne, the vile leader of the Brotherhood, while freeing Lady Jeyne Swann and her coterie from their captors. Unlike Jaime Lannister, however, Ser Barristan stood by King Aerys through his fits of insanity, holding steadfast to his pledge of fealty. This has not been forgotten on the people of King’s Landing, who look up Ser Barristan as one of the few Kingsguard to truly uphold their duty. Having gone a lifetime without serving someone he truly admired, however, Ser Barristan finally found his leader in Daenerys Targaryen, for whom he sacrificed himself in combat. Game of Thrones gives us two Cleganes for the price of one. Barring the obvious differences in stature between The Hound (Sandor) and The Mountain (Gregor), there are deeper psychological differences that separate the two brothers. As children, Gregor grew enraged at his younger brother for playing with one of his discarded toys and held Sandor’s face to the fire as punishment. This explains the scars on the Hound’s visage, as well as his reactionary fear of fire. The Mountain, on the other hand, lives without compunction, a killing machine that even small armies would have difficulty subduing. The two brothers despise each other, their mutual hatred emanating without end. Because the Mountain appears to be alive and well, or perhaps recently undead, he sits confidently at number 2 of our list of the most powerful characters in Westeros. While introduced in Season 4, with King Joffrey perusing The Book of Brothers, Ser Arthur Dayne made his first full appearance in Season 6. As the infamous Sword of the Morning, Ser Arthur wields two weapons and cuts through all of Ned Stark’s men in defense of the Tower of Joy. While Ser Arthur appears to be a just and good man, his fighting is of the most vicious and unrelenting order. With Bran and the Three-Eyed Raven looking on, they finally understand that Ned Stark defeated the legendary swordsmen not through tactics or talent, but through Howland Reed’s unmentioned backstabbing. Though Ned delivers the coup de grace to the Sword of the Morning, it remains clear: Ser Arthur Dayne was deservedly the most feared swordsman in all of Westeros. The notable talents of Ramsay Bolton and Loras Tyrell are not lost on us. While the former is perhaps the most detestable character in Westeros, Ramsay is not to be trifled with on the battlefield. Just ask Theon Greyjoy. And while he's currently in prison, Loras Tyrell could easily hold his own in the heat of war. Though a better jouster than dueler, Loras still presents a threat to any challenger. Who do you rank as the top fighter in Game of Thrones? Let us know in the comments below!